This wheel has the detail spinners have come to expect from Kromski products - plenty of beautifully turned woodwork, attention to detail and all the features spinners have asked for. 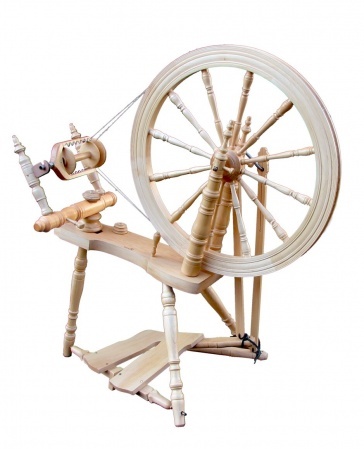 All this begins with the wheel diameter, 60 cm (24"), which rotates on bearing sleeves, giving effortless treadling. 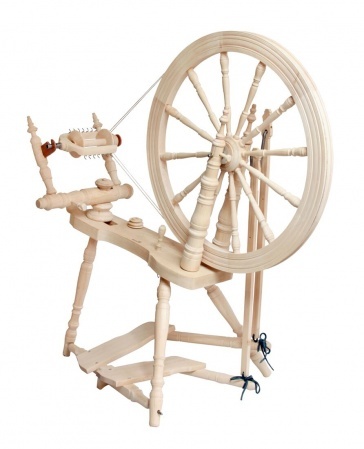 The double treadles are specifically engineered to be comfortable through long spinning sessions and provides greater control over the action of the wheel itself, though it is still possible to use use just one treadle if preferred. The flyer is double drive but also has Scotch tensioning for single drive users. Jumbo flyer unit now available. The Symphony is made of European alder and birch.